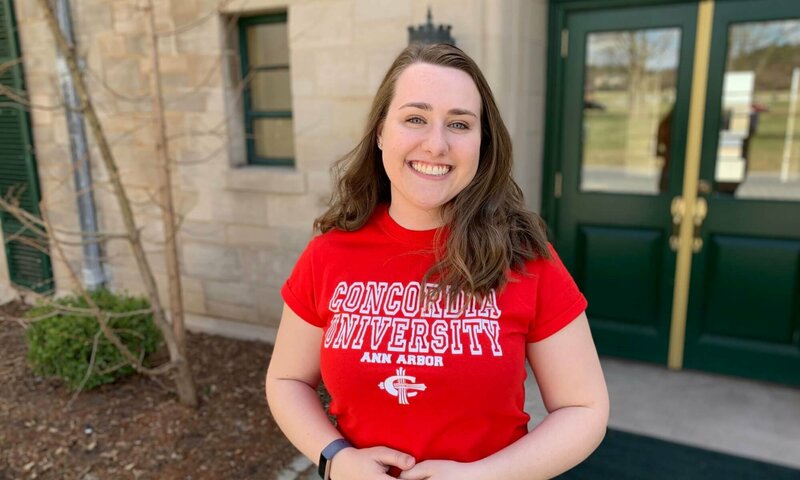 "Celia Walkowicz is currently a senior in the Family Life Program and is pursuing both a Youth Ministry and a Worship Arts minor. She is an excellent student who goes above and beyond with her work in the classroom..."
I love going to cheer on my friends at all their games! I’m personally not athletic, but I love to go and support them all! You will never have a community like you will at CUAA. The people here are so wonderful and they will love and support you as you grow into who you are becoming. Thank you so much for this award. I have had many friends that I look up to who have received this, and to be a CUAA Student of the Month is an such an honor!